The Wall Street Journal published a great article about Georgiann, a teenager who overcame her social anxiety at the Mayo Clinic using exposure therapy. 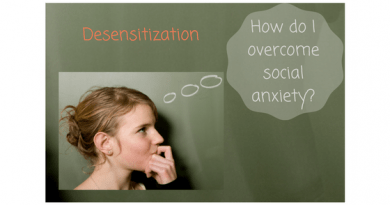 Exposure therapy, a type of cognitive-behavioral therapy (CBT), has been shown to effectively treat teen social anxiety. Here are a few excerpts from the Wall Street Journal article. The high-school sophomore overcame a crippling case of social anxiety as a patient in the Child and Adolescent Anxiety Disorders program at the Mayo Clinic in Rochester, Minnesota. Therapists there use an innovative approach early in treatment, gradually exposing children to things they fear most and teaching parents to act as “exposure coaches” rather than enable their children to avoid things and situations as a protective measure. When parents help children to escape from feared situations, anxiety symptoms may worsen and children frequently become more impaired, says Stephen Whiteside, a Mayo pediatric psychologist. “Kids who avoid fearful situations don’t have the opportunity to face their fears and don’t learn that their fears are manageable,” he says…researchers at Mayo, Virginia Tech and other institutions are finding that slowly exposing children to the things they are anxious about, at an early point in treatment, can be highly effective in helping them overcome anxiety. …Therapist Michael Tiede worked with Georgiann in group sessions and one on one to help her gradually do things she was afraid of and, as she says, “put myself out there.” Mr. Tiede and Georgiann say she shared her goals with the group each week, whether it was agreeing to meet friends at the mall, joining in a conversation or even just wearing her hair differently one day to see that it wouldn’t attract undue attention. “It builds momentum and they do the next thing, and the next thing, and then it is not so hard anymore,” Mr. Tiede says. 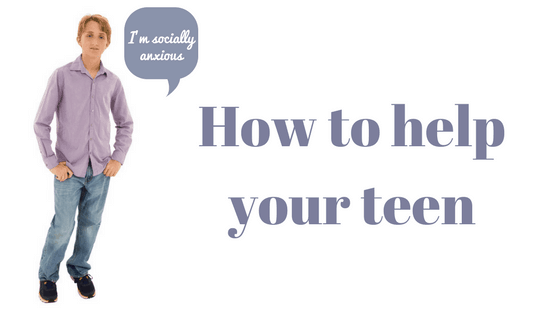 For teen social anxiety, we recommend working with a cognitive-behavioral therapist. They can train you as an "exposure coach" for your child. During your training, you'll learn a balance between (1) not overwhelming your child with too much exposure and (2) not over-sheltering your child. 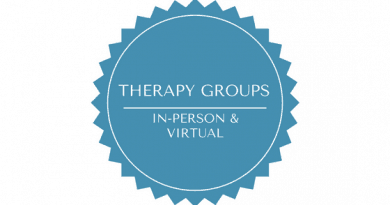 You may want to check out these cognitive-behaviorial anxiety treatment centers for treatment options.